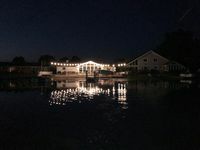 Property 2: Waterfront Vandalia House w/ Dock on Donnell Lake! Property 3: Lovely Home on the WATER'S EDGE of beautiful Diamond Lake!! Close to NOTRE DAME! Property 6: DIAMOND LAKE ~ Beautiful waterfront home, sandy beach - 1 summer week left! Property 7: Memorial Day, 4th of July and Labor Day weekends are all 3 night bookings. Property 11: Lakefront Home on Eagle Lake - Sleeps 10 - Perfect for a Relaxing Getaway! Property 15: Newly-Renovated Lake House On Gorgeous Big Fish Lake! Property 19: Diamond Lake Get Away! 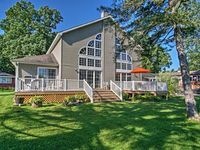 Completely Renovated Vacation Home On Beautiful Dewey Lake!! Property 26: Completely Renovated Vacation Home On Beautiful Dewey Lake!! Cozy Ranch With Walk Out Deck On Secluded Wooded Lot On Beautiful Private Lake. Property 31: Cozy Ranch With Walk Out Deck On Secluded Wooded Lot On Beautiful Private Lake. Stillwater Cottage - Gorgeous Retreat On Peaceful, Private Cable Lake! Property 41: Stillwater Cottage - Gorgeous Retreat On Peaceful, Private Cable Lake! CLOSE TO NOTRE DAME CAMPUS!! Peaceful, Very Clean, Furnished House! Property 43: CLOSE TO NOTRE DAME CAMPUS!! Peaceful, Very Clean, Furnished House! Only 100 miles from Chicago, cute Dewey Lake House is on a double lakefront lot. Property 47: Only 100 miles from Chicago, cute Dewey Lake House is on a double lakefront lot. My husband and my self rented this beautiful house for a end of the year ski trip with our two girls. The house is on a beautiful lake, very clean, and stocked with anything you could possibly need! We will definitely be coming back this summer to get use out of the lake!